Departure from Delhi hotel to Airport to board flight to Cochin.Upon arrival at Cochin Airport, Our representative will meet you as you EXIT the ARRIVALS TERMINAL building after which you would be transferred to your hotel, where you proceed for check-in.Cochin, a commercial city of the state of Kerala, has one of the best natural harbours in the country. It is set amidst lagoons and backwaters with aromatic backdrop of swaying coconut palms. 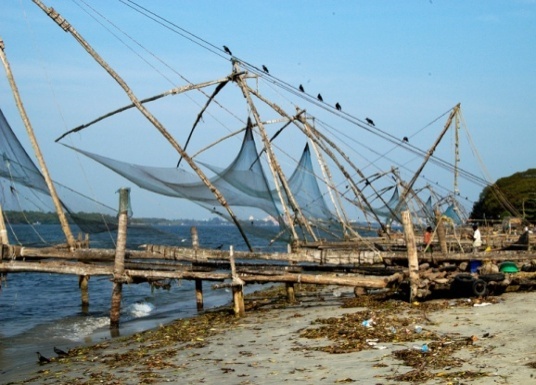 Kochi, a commercial capital city of the state where land and water share extraordinary kinship. This land which is believed to have sprung forth from the sea womb, continues to bask in the tender life giving care of the waters that lap gently on its coast, cascade, down its hills and valleys and collect into exotic backwaters and lagoons. After buffet breakfast, visit Cochin City. You will first proceed to Mattancherry, where you will visit the oldest Jewish Synagogue in India [closed on Friday and Saturday], built in 1568; it was destroyed by the Portuguese and rebuilt by the Dutch a century later. In 1776 a wealthy Dutch Jewish trader, Ezekiel Rahabi added a clock tower and a exquisite Chinese Blue and white porcelain floor tiles, each hand painted in a different design. 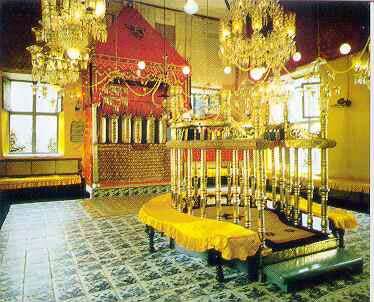 Its fascinating interior includes 19th Century Belgian Chandeliers, a ladies gallery and an elegant brass pulpit. The Dutch Palace [closed on Friday] at Mattancherry was built in 1555 and its coronation hall and murals at Ramayana are noteworthy features..
From Jewish Synagogue you will visit Chinese fishing nets. The cantilevered fishing nets line the entrance to the harbour mouth. Chinese traders are believed to have originally introduced them in the 14th century although, today parts of the nets are known by Portuguese names. From the Chinese fishing nets you will visit St. Francis Church [closed on Sunday during Mass], originally named after Santo Antonio and dedicated to him as the Patron Saint of Portugal, St. Francis Church is the first church to have been in the new European influenced tradition. Originally a wooden building was replaced by the present stone building. Vasco De Gamma died on the site in 1524 and was originally buried in the cemetery. 14 years later his body was removed to Portugal. The church was renamed St. Francis in 1663. Later in the afternoon, drive to Periyar by Road. (185 Kms. / 5 Hrs.). Set in the heart of the Cardamom Hills of Kerala is Periyar National Park and Tiger Reserve, offering a rare opportunity to enjoy South India’s wild life and beauty. The park has a picturesque lake at the heart of the sanctuary. Herds of elephant and sambhar, gaur and wild pigs and wander down to the lakeside and can be observed from the launches that cruise the lake. Periyar also harbours the leopard, wild dog, barking deer and mouse deer. On the rocky outcrops along the lake, monitor lizards can be seen basking in the sun. On arrival, you will check into your hotel. Day 3 Periyar: After buffet breakfast, morning at leisure. 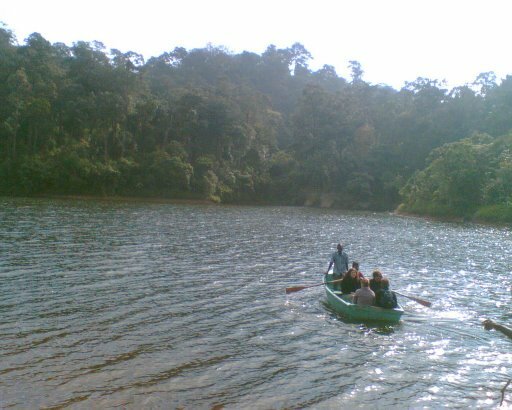 Later in the afternoon, enjoy a boat ride on the splendid Lake Periyar, the best way to experience the sanctuary and view wildlife. Day 4 Periyar - Alleppey - Houseboat:After buffet breakfast, drive to Allepey by Road (160 Kms / 04 Hours) to board Houseboat in the backwaters.Backwaters - a unique web of lakes, lagoons, canals and rivers - are an integral part of Kerala’s tourism scenario. Inaccessible to tourists for a long time, this hidden treasure has now become a reality to the tourists, thanks to the `Kettuvallams’ - the Houseboats of Kerala. In Malyalam, the word `kettuvallam’ means a sewn or stitched canoe. Traditionally they were built of planks sewn together with coir cordage, threaded through with a `needle’ carved from a palm frond. The seams, caulked with coir plugs soaked in sardine or cashew oil made the boats waterproof. 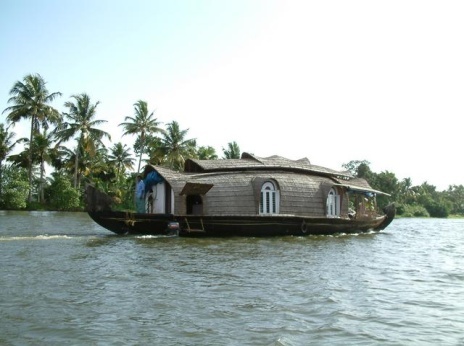 The traditional houseboat of Kerala is one of the most enduring images of the backwaters - its natural, cocoon-like profile complementing the surrounding countryside. These `kettuvallams’, were designed to carry heavy cargo, such as coconuts and spices, and to provide living accommodation for the boatmen. These boats have been adapted to offer holidaymakers the ultimate backwater experience that cannot be replicated anywhere else in the world. Preserving their historic character and style, craftsmen have created a unique atmosphere on board, a luxurious, self-contained world from which to observe rural Indian life flowing gently by. Lunch and Dinner at Houseboat. Overnight stay in the delux houseboat. Day 5 Alleppey – Kumarakom:Breakfast on board. Disembark from boat and transfer to Kumarakom hotel. Kumarakom : Hidden away in Kerala’s famous backwaters, it is one of Southern India’s most discreet holiday destinations, an exclusive haven with a unique cultural heritage.It is a wonderful journey across Lake Vembanad, the largest stretch of fresh water in Kerala, and offers a coherent introduction to the backwaters offering a fascinating insight into the past.On arrival check in at your hotel. You have an option to enjoy cruise at backwaters. This Morning you will be transferred to Cochin Airport to board flight for onward journey.Our Representative will meet and assist you for check-in for your flight to onward Journey. Airfare will be Extra: DEL/COK/DEL- Rate will be applicable at the time of booking. • 05 nights’ accommodation at above mentioned hotels on above said sharing with breakfast. • All transfers & sightseeing tour by using A/c Indigo car for 1-2 Pax and A/c Innova for 3-4 Pax. 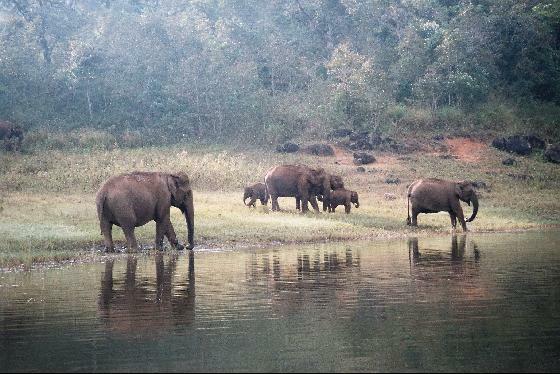 • Elephant ride/Boat ride at Periyar national park. • 02 water bottle in the car. • All currently prevailing taxes on the Hotels, transport & government service tax. • For 01 Pax travelling they accommodate in 01 sgl room only. • For 02 Pax travelling they accommodate 01 dbl room with twin sharing basis. • For 03 Pax travelling they accommodate 01 dbl room & 01 sgl room respectively. • Any personal expenses - telephone calls, laundry, shopping, and table drinks etc. • Any additional expenses caused by or liability for disturbance in the trip due to circumstances beyond our control such as airline & railway delays, roadblocks, vehicle malfunctions (mechanical breakdown) and other conditions like sickness, natural disasters, wars etc. • Liability for insurance against injury, loss of life, accidents, damage or loss of goods. • Gratuities for guides and drivers. • Any services /meals other than specified above.